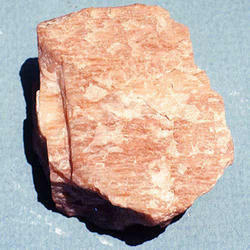 We are a leading Manufacturer of industrial mineral from Jaipur, India. For our esteemed customers, we have introduced Industrial Mineral, processed using proven technology. We have introduced the specified range after being assured with its effectiveness in its usage. It's used for acid neutralization in the chemical industry, in stream restoration projects and as a soil conditioner, resulting in its wide market acceptance.